It's spicing up social media yet again. Tired of the same old Thanksgiving turkey roasted in the oven 'til the skin turns a lovely golden brown? Even the popular fried turkey recipes have run their course. If you're really looking to spice things up around the holidays, check out these totally over-the-top turkey recipes. No one will forget Thanksgiving dinner at your house this year if the bird is covered in edible glitter or pickles! Want some turkey with real pizzazz? Look no further than this sparkly recipe from Reynolds Wrap. It involves making edible glitter (yes, that's possible!) using items purchased from a craft store. Once the glitter is ready, just sprinkle it over the turkey after it's been brushed with oil. Tent it before serving to let the glitter set and ta-da! This original recipe from TODAY Food makes a super flavorful turkey by soaking it in a dill pickle brine overnight. For added spiciness, include chopped jalapeno, habanero or any other hot pepper of your choice to the brine and choose the juice from zesty pickles instead. The brine also has garlic, black peppercorns, mustard seed, celery seed and dill seed to pack an even greater punch. Hot Cheetos are making their way into everything these days from ice cream, to mac and cheese and even nacho cheese. Now, there's a way to use them on Thanksgiving turkeys. The Pilgrims are probably pretty jealous about this one. Reynolds Wrap first debuted its recipe for a "Hot Turkey" in 2017. 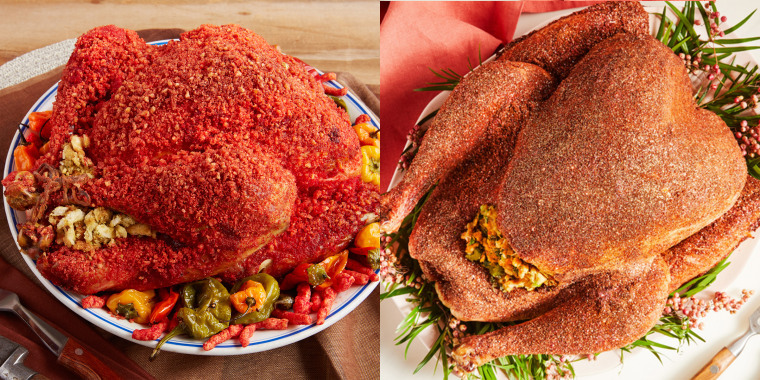 Basically you need to do is crush a snack like Cheetos (spicy Doritos would also work) in a food processor and then coat the cooked turkey in the crumbs after brushing the bird with butter and oil. Got a family who loves bacon on everything? Give this bacon-wrapped bird a try! The fat from the bacon helps keep the meat moist and also imparts a deliciously smoky, salty flavor. 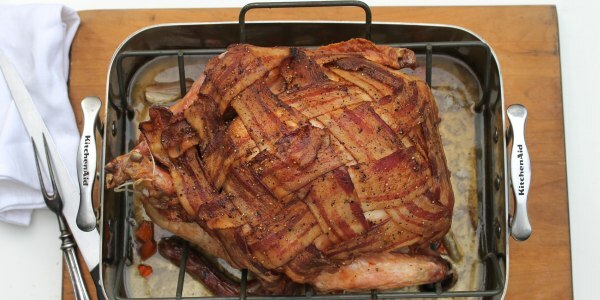 The recipe calls for making a lattice from bacon strips and then laying the weave on top of the turkey prior to roasting. With its criss-crossed strips of bacon, this turkey is as pretty as it is delicious. Want a citrus-y flavor for the turkey? Use your favorite citrus soda in the brine. For this recipe, simply mix equal parts soda and water, as well as 1/4 cup of Kosher salt for every liter of liquid added. Then let the turkey soak in the brine overnight before cooking it the following day. It will be slightly sweet, a little zesty and totally tempting. Love Cajun spice? Try it on a turkey this Thanksgiving. This version shows uses the classic seasoning with paprika, thyme oregano, garlic powder and cayenne pepper for a kick. It's not totally wacky (after all, Popeye's offers a Thanksgiving turkey special every year) but it is definitely delicious. Just add 2 pounds of melted butter to the seasoning, pour it over the turkey and gently massage it into the skin before roasting. Got fans of Buffalo wings? They might like that same game day flavor on their Thanksgiving turkey. This recipe from the Doughmesstic blog creates Buffalo flavoring first in the brine, which contains beer with various spices, then in the rub with chili powder and cayenne, and finally in the injection with hot sauce, butter and lemon. Writes food food blogger Susan Moss, "That little bit of heat from the spice is something you rarely find in a turkey, and that kick made the juicy bird unique and delicious." Looking for more holiday inspiration? 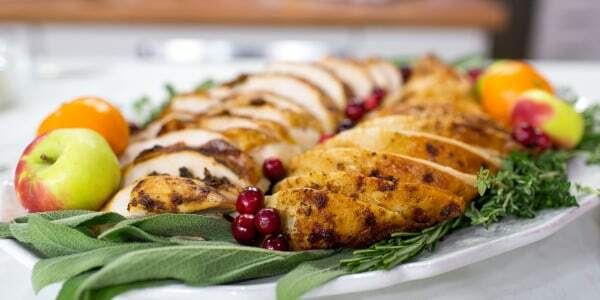 Check out more of TODAY Food's favorite Thanksgiving dinner recipes!